Bob grew up in Bartlesville, Oklahoma, the fifth of six kids. He graduated from Oklahoma State University, where he earned his Bachelor of Science degree in Economics in 1982. While at OSU, Bob gave his life to Jesus Christ through the influence of Campus Crusade. He also met his wife, Kay, on a blind date while at OSU and they have now been married for 35 years. Bob and Kay reside in Tulsa and have three children, Emily, Will and Jay. Emily is married to Jon and they have three children, Libby, Sam and Gideon. Emily has worked as one of Bob's associates since 2009. Will is married to Jordan and works as a photographer and graphic designer in Milwaukee. Jay is a senior at Oklahoma State University, studying finance. 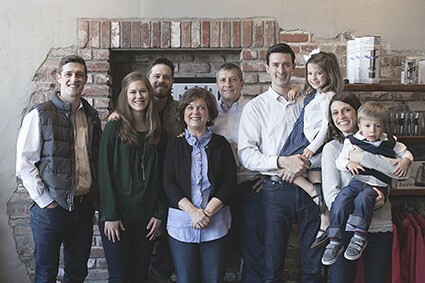 Bob and Kay have been members of Asbury United Methodist Church since 1982 and are currently helping launch a new Asbury daughter congregation in midtown Tulsa called Cornerstone. Bob loves baseball. He coached numerous little league teams through the years, as both of his sons are avid lovers of the sport as well. All of the Skaggs are St. Louis Cardinal fans (though Will and Jordan are quickly becoming Milwaukee Brewers fans as well). In his free time, Bob enjoys exercising-- he ran 11 marathons from 1998-2006--reading and studying God's Word, and spending time with his wife, kids and grandkids.